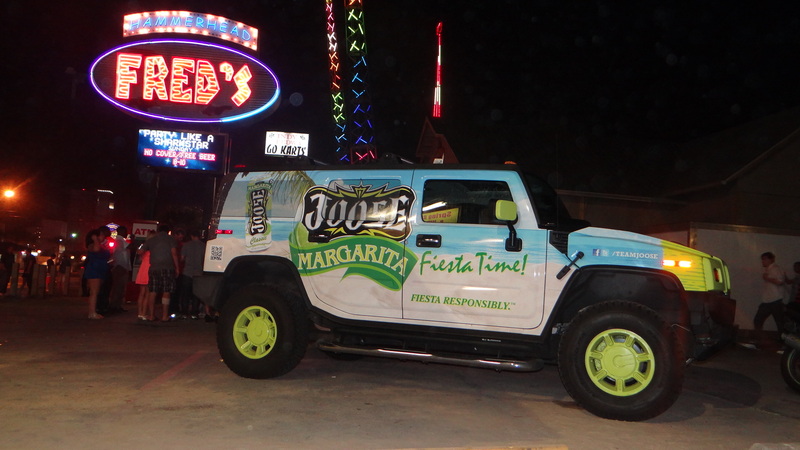 The Joose Hummer parked outside one of the clubs during Spring Break. Collegiate Marketing Group (CMG) represented several key activations in 2013 including ‘Joose’ – a malt beverage brand. Based out of San Diego, Joose is a beer based flavored malt beverage made from all-natural ingredients. In 2013 Joose released a variety of new flavors, including peach and strawberry margarita, and needed to push these new flavors towards their key demographic. Spring Break just seemed to be the perfect fit. The Beach Bash Music Fest featured the largest stage on the beach, sponsored by Joose. The Joose Spring Break activation included a variety of sampling and experiential marketing initiatives at various beach clubs, hotel pool decks, and key ‘off-premise’ promotions such as corner variety stores and Walmart. The Summit Condo and The Days Inn were key to daytime exposure, while Sharky’s Beach Club and Hammerhead Freds were prime venues for night crowds. In addition to offering samples of the beverage products, the Joose Promo Team offered cool beach style giveaways (t-shirts, beach balls, bracelets and more) and drove around the beach strip in the Joose branded Hummer – parking at various places to hand out swag. 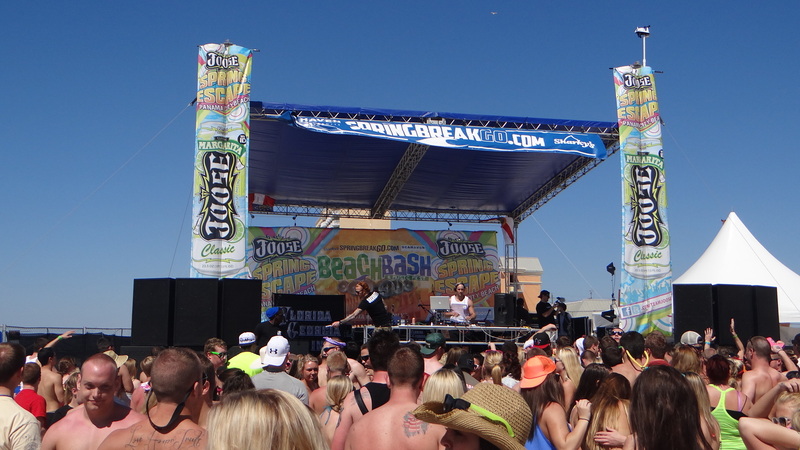 The Joose Spring Break experience was given added bonus exposure each week in March courtesy of their title sponsor hosting of the Beach Bash Music Fest at Sharky’s Beach Club. The Joose/CMG campaign was an enormous success and is already looking towards expanding their presence in 2014! For more information on how CMG can improve your brand’s exposure, please visit www.cmgmediaagency.com and contact their office for assistance.